J'AIME LE CHOCOLAT ! VALENTINE'S DAY IN FLYFF! It's that time of the year again. Hearts and other cheesy love related stuff everywhere. You'll either love or hate it. But this event is for everyone! 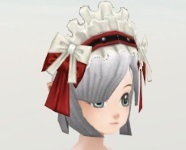 Help Jessica and Nana fight over Rayn (once again) and get rewarded with the lovely Ribbon or the luxury Hairband. 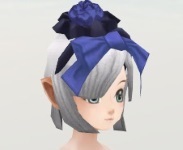 Are the 2 different ribbons Female only? Not even the images work..
Really.. Thats the event.. We have a great drop event and u put something like this in it.. 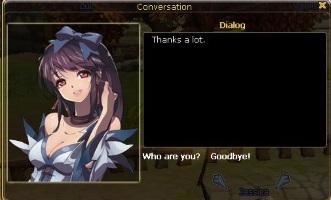 I loved the old valentine events!! 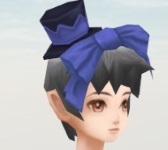 In game we have two Lovely ribbons one for boy the other one for girl. 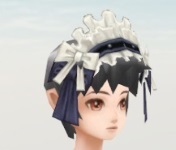 Lovely ribbons (defense +7% / Fashion hat). and we have also for Girl and Boy. Lovely ribbons give you +7% defense, not +7, the % was missing. WE NEED THIS EVENT AGAIN! WITH HAIRBANDs. Last edited by ClockzChu; 04-02-19, 09:45 AM. Reason: WE NEED THIS EVENT AGAIN! Can you make the quest items stackable up to 999 instead of 99, just like you did with the X-mas event? The QI drop really often, and my inventory is already full because of the increased drop rates. Pretty good droprate, but to fast on full space. At least the drop event is still on going. Soooo... How can we get Lapis-lazuli and Garnet Ring? That is the ONLY thing good about Valentine's Day on Flyff. Also... GIVE ME MY WCOIN, its been 3 days!!!!!! SERIOUSLY!!! "I don't have access to this event in US.Flyff Tanuki after maintenance." I did the Valentine's day event in =2015= with this character level 106. 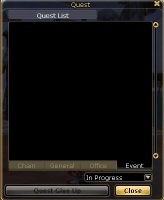 Quest Diary window is empty (push Q in game - Event). Quest completed from previous event show these quest has been done. (2015). It may-be the same for you if you got Garnet Ring last year. I hope it will be fixed after the next maintenance. I am not the only one in Tanuki. US Flyff serveur. 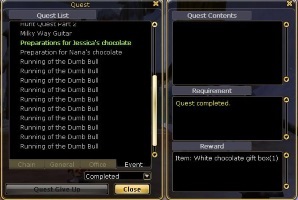 It looks like we can only do once these quests : Helping Jessica + Nana. But it's not the case of this issue. The Valentine's day 2016 never start here.